What happens when the carpool driver has to leave work early due to a family emergency, or comes down with a fast-moving illness that sends them home before the workday is over? The commuters who ride with them are stranded and need to default to Plan B, which could be a costly paid-ride home. 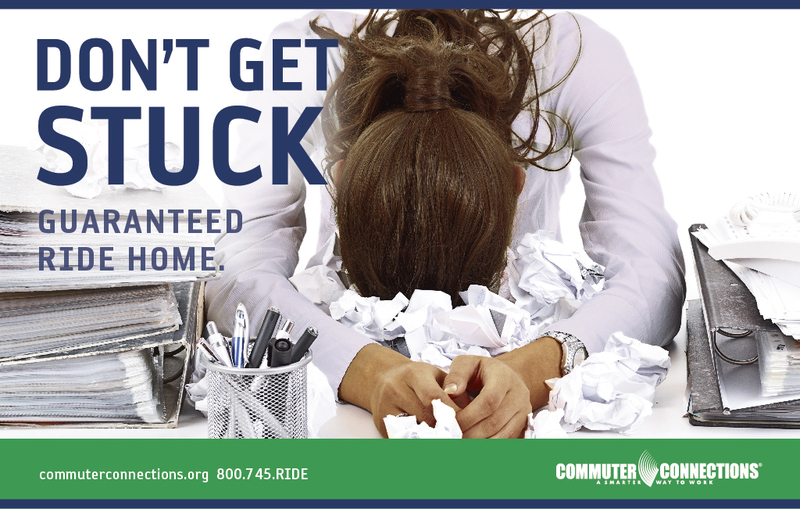 Commuter Connections has it figured out, and here’s the answer: the Guaranteed Ride Home Program. Members of the free Commuter Connections service are eligible for up to four free rides home a year when their car — or vanpool driver can’t finish the workday. The Guaranteed Ride Home covers those times the commuter experiences an unexpected personal or family emergency, such as an illness, or unscheduled overtime. It’s a free “insurance plan,” for your daily commute. Commuter Connections, the regional network of transportation organizations coordinated by the Metropolitan Washington Council of Governments, offers free services and programs that help employees and employers throughout the region find the most cost-effective, convenient, and safe commutes. Information on ridematching, public transit, HOV lane restrictions, park-and-ride lots, bicycling and teleworking are among the services Commuter Connections has been promoting since its founding in 1974. One thing that discourages commuters from joining carpools, vanpools or even using public transportation to and from work is the possibility of missing the ride home because of unscheduled overtime. Staying late might end up costing money if they have to take a taxi or another paid service. But missing the ride home isn’t a worry for members of Commuter Connections. The regional network of transportation organizations coordinated by the Metropolitan Washington Council of Governments offers a guaranteed ride home for those held up by emergencies, such as unscheduled overtime or illness, up to four times a year. There is no charge for the ride. The free service is offered as a “peace of mind insurance policy” for carpoolers and those who use public transportation. Commuters who share their transportation save money, reduce stress, contribute to a healthy environment and remove at least one more vehicle from the region’s overworked transportation system (Some restrictions apply; see the website for details). 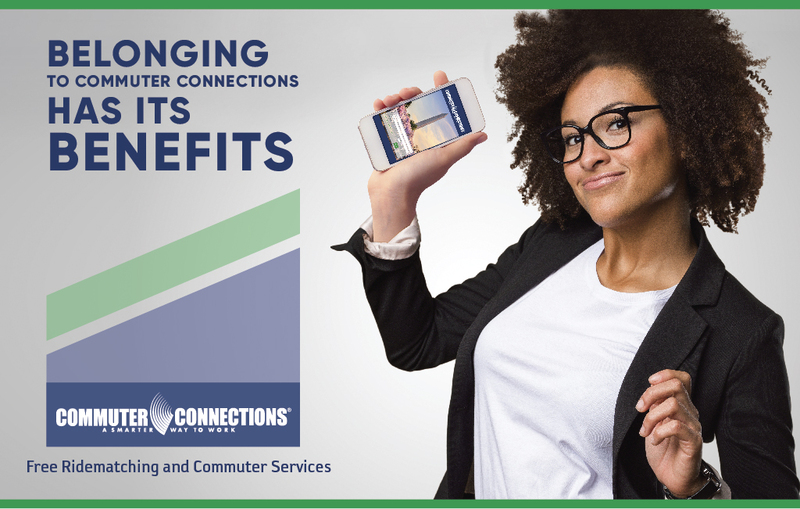 Commuter Connections offers other free services and programs that help employees and employers throughout the region find the most cost-effective, convenient and safe commutes. Information on ridematching, public transit, HOV lane restrictions, park-and-ride lots, bicycling, and teleworking are among the services Commuter Connections has been promoting since its founding in 1974. Driving to and from work every day on your own is costing you time and money, and you know it. But how do you find a compatible companion to share your daily round-trip commute? The answer is Commuter Connections‘ program called “Ridesharing.” And it’s free. When you register for a free Commuter Connections account, you can sign up for the Ridesharing program, which pairs you with a viable carpool or van pool. You can also download the CarpoolNow app for ridesharing on demand. The app allows you to ride when you want, where you want, without the cost of a ride-hailing service or taxi. Ridesharing commuters save an average of $22 a day, reduce stress and make friends. How does it work? Once you register and become a Commuter Connections member, you can find other commuters at or near your company, in your neighborhood or along your route to work who want to share their ride. One of the benefits enjoyed by Commuter Connections’ Ridesharing commuters is that they don’t drive every day, which saves wear and tear of vehicles and lowers toll and Express lane fees. Since some commuters prefer to drive, passengers help pay for fuel. Some Ridesharing partners prefer to alternate driving duties, so there is no exchange of money. Another benefit? Sleeping while someone else negotiates rush hour traffic. Why is Ridesharing and other valuable services and programs of Commuter Connections free? Because Commuter Connections is a regional network of transportation organizations coordinated by the Metropolitan Washington Council of Governments that are united in helping improve the region’s traffic congestion. 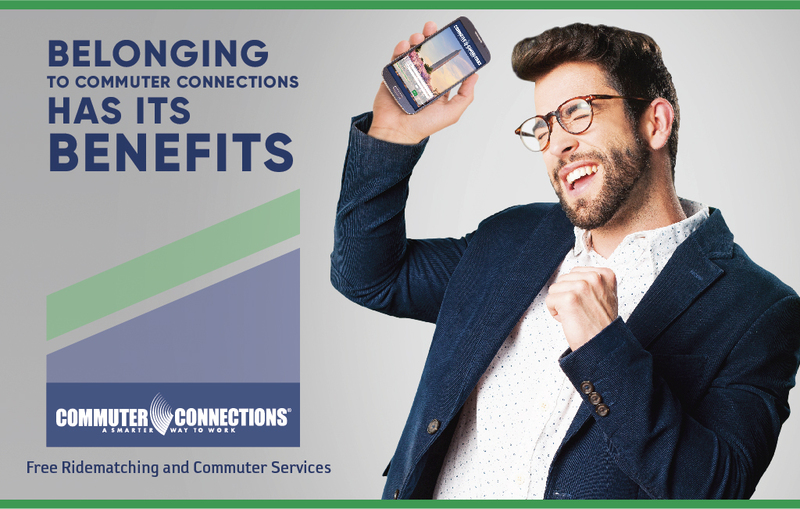 Commuter Connections offers free services and programs that help employees and employers throughout the region find the most cost-effective, convenient and safe commutes. 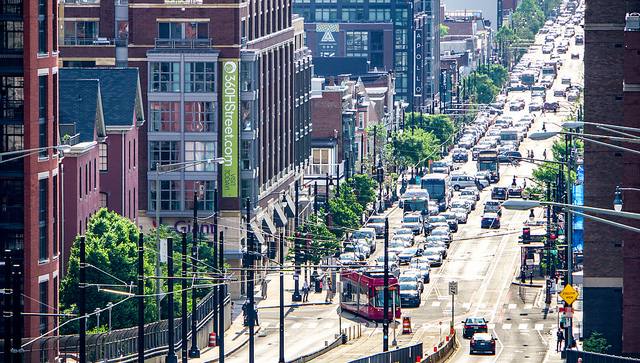 Information on ridematching, public transit, HOV lane restrictions, park-and-ride lots, bicycling and teleworking are among the services Commuter Connections has been promoting since its founding in 1974. When an emergency arises, do you have a guaranteed ride home? If you are a member of Commuter Connections, you do. 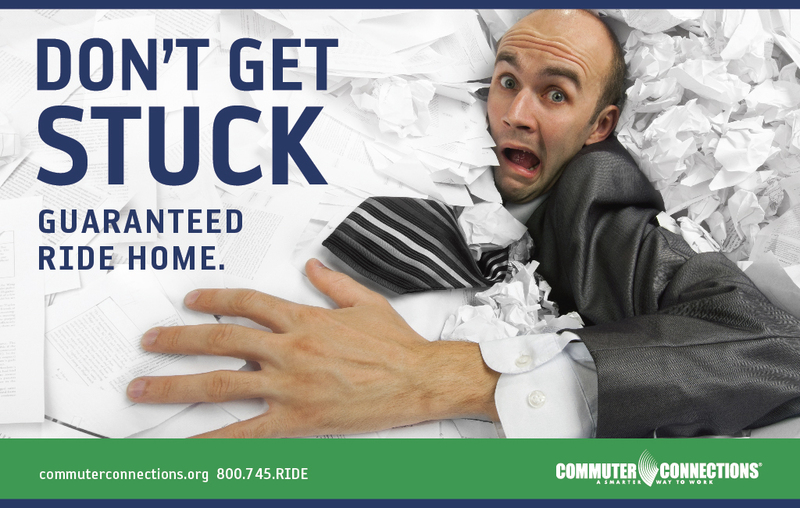 The Guaranteed Ride Home program is a benefit of joining Commuter Connections, a regional network of transportation organizations coordinated by the Metropolitan Washington Council of Governments. When emergencies happen, such as an illness or unscheduled overtime, the Guaranteed Ride Home service does just what it says: It gets commuters home (some restrictions apply; see the website for details). Commuter Connections members can call on the Guaranteed Ride Home service up to four times a year to assist them when they need it the most. The service is offered as a free “peace of mind insurance policy” for carpoolers and those who use public transportation. The relevant details: I’ll be moving from Los Angeles to DC this summer. My new job will likely be in Tyson’s Corner (blech). My girlfriend lives in Columbia Heights. I will have a car.